Huawei Honor Note 8 expected price in India is ₹22,999. Huawei recently introduced its latest Honor series flagship, the Honor Note 8, which will be available in 3 storage variants (32GB, 64GB and 128GB). 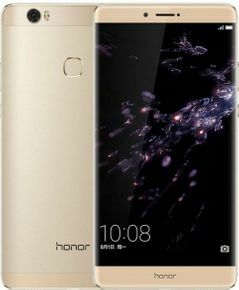 The Huawei Honor Note 8 readily qualifies for the Phablet section with its massive 6.6-inch super AMOLED QuadHD (1400x2560 p) Display panel. The Display is expected to be sharp as the handset offers a pixel Density of 443 PPI. The handset sports a metal unibody Design with a fingerprint sensor on the back panel. To my liking, Honor handset’s signature tag below the display has not been excluded. Unlike Honor 8, its Note version skips the dual camera setup and settles for a single 13 MP (f/2.0 aperture) OIS shooter on the rear side. It includes a Dual LED flash to aid the primary camera. With a good quality lens, OIS feature and Dual LED flashlight on board, low light performance is expected to be decent. Honor Note 8 also flaunts an 8MP (f/2.0 aperture) front camera. Huawei Honor Note 8 houses its homemade octa-core HiSilicon Kirin 955 CPU teamed with 4 GB of RAM and a Mali-T880 MP4 GPU. A huge Non-removable Li-Po 4500 mAh Battery has been used to power the chipset. The handset runs Emotion UI 4.1 based on Android 6.0.1(Marshmallow) on top. Other basic features and Connectivity options include Wi-Fi (both direct and hotspot), Bluetooth, A-GPS, GLONASS/BDS (Region based), USB Type-C, USB On-The-Go and FM radio. It supports Dual SIM cards (Nano + Nano) and a microSD card. The handset comes in three color variants (White, Gold and Gray). Huawei Honor Note 8 price in India is expected to be 22,999 INR for the 32 GB variant. Huawei Honor Note 8 online purchase is not possible yet. However, it is expected to be released soon in India. Plenty of size to watch Movies and Gaming. Impressed by battery and PPI. ITS A PERFECT PACKAGE. HUAWEI is winning hearts after Ascend mate 7 and Mate 8. And now Honor Note 8 at such a very good price. 22,999. Amazing!! !